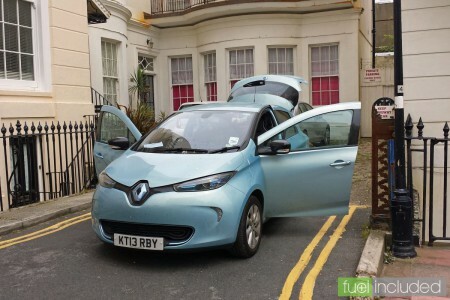 It is no exaggeration to say that I loved the Renault Zoe – and since I drove it at Mallon Motors a couple of weeks ago, I’ve been gabbing to anyone willing to listen that it is the most impressive thing I’ve driven in ages. Scratch that, obviously the most impressive thing I’ve driven in recent times is the BMW M4, but that was in Mondello and I was wearing a crash helmet. You get the picture. But the Zoe is different. We’re at a turning point in history – for the first time, despite all the science fiction talk over the past several decades, we’re actually finally at a point where we might actually be on the brink of saying goodbye to the internal combustion engine. Those who can see into the future say that it will happen suddenly, literally overnight. Tumbleweed will blow across once vibrant petrol station forecourts. Nissan/Renault are the first major car company which have brought genuine electric vehicles to the masses. Tesla may get all the plaudits, but the Nissan Leaf is the first everyday/every(wo)man electric car out there. And now Nissan’s stablemate, Renault, is pushing its own, the Zoe. Before I sat into the Zoe I’d never driven a full electric car, and wasn’t sure what to expect. I had high expectations for my impact on the environment (there would be none), but either low, or no expectations for any other bit of it. And that’s where I was gloriously wrong. The Zoe was good looking, comfortable and fun to drive. Electric cars have great torque because the power in them isn’t gradual. It’s like a light bulk – it’s either on, or off, so the torque is immediate. There’s no lag waiting for the turbo to kick in. The Zoe I was driving said that I had 210kms in the full battery, but every time you slow down or brake, it’s regenerating the battery, so much so that although I did 18kms in the car, the battery only registered a loss of 13kms. Who’d have thought that stopping at traffic lights would be so rewarding! The Zoe is Clio/Polo/Fiesta sized, although it is particularly notable how it doesn’t drive like a small car. It’s solid on the road – to such a degree that, notwithstanding the electric element, it’s easily a better car than many similarly sized offerings out there.